When Ava & Oliver are asked to make a guy for an upcoming Bonfire Night, they are excited. As their work progresses they become more & more attached to the guy, even giving him a name! Buster, the dog makes friends with him too. As Bonfire Night looms ever closer, the guy’s fate is sealed and the children find they are not looking forward to November 5th at all! What will happen to the guy? 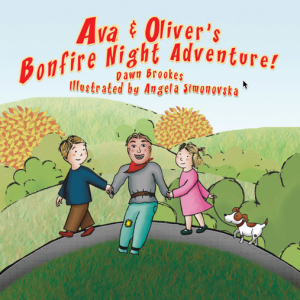 Will Ava & Oliver be able to keep him from the fire?